Bellygram 10 mins from £125 depending on area. Sets can be chosen as below and prices are available on request. 1 x 15/20 mins set 2 x 15/20 mins sets 3 x 15/20 mins sets Snake walkabout per 45 mins from £200 Snake dance from £175 Please note travel costs will apply to areas further than 20miles from my location. I am happy to travel in the South East and also north west (Manchester, Liverpool and surrounding areas). 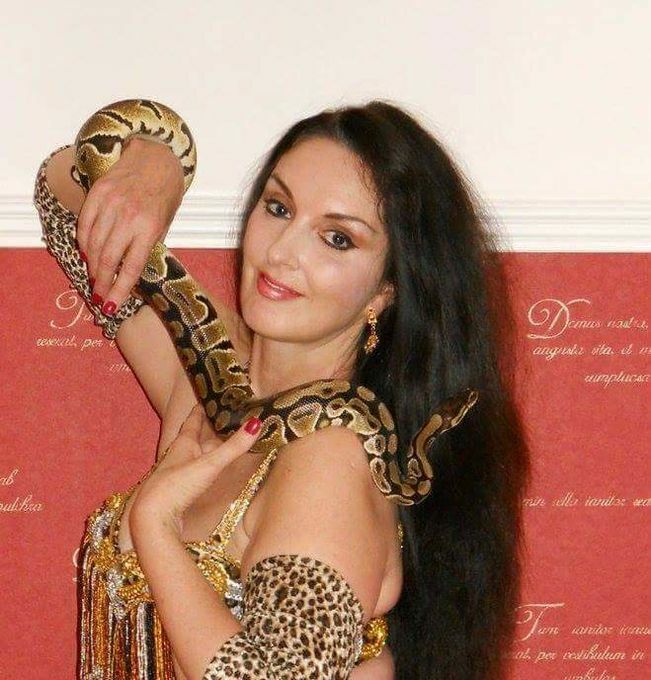 Beautiful bellydancer and Snake dancer for corporate and private events. I tailor performances to the client's requirements and have a beautiful selection of Egyptian and Turkish costumes in many colours to match with your themed event. Specialities include veil, fan veils, sword, Egyptian cane, finger cymbals and Isis wings. If you require something a little more exotic i am also available with my python Izzy for walkabout and a beautiful snake dance. Indian event? I have a selection of gorgeous bright coloured costumes and can add a Bollywood flavour to your event. 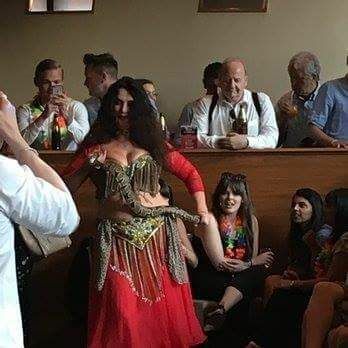 Henna parties and bridal showers are great fun when you hire a belly dancer to teach the girls some cheeky moves...i can bring shimmy hipscarves for guests to borrow to give that authentic feel! For an extra authentic touch I can arrange a darbouka player (Arabic drummer) for an additional fee. Khalisha performed at our Xmas party and was very friendly and helpful when booking as we really didnt know what we wanted. We need not have worried - she made our event special and was as dynamic as we had expected. Her personality shines through in her dancing everyone was thrilled with the entertainment. Khalisha danced for us at our annual conference after party and her entrance with the Isis wings had everyone entranced. She got lots of the participants dancing and they have been talking about it ever since! Very professional lady who asked exactly what we wanted for our event so that we were completely happy. Friendly and approachable. Do not hesitate to book her. Booked the amazing Khalisha last minute as we had been let down by our booked entertainer. Her costume was beautiful. it was an Asian event and we had asked for a specific look and Khalisha did not disappoint. She had everyone up and dancing with her and provided us with a night to remember. Many thanks Khalisha. I booked Khalisha to dance for a team building event in Central London. She arrived on time and looked stunning. She performed for us and then led the group in a mini workshop teaching us some belly dance moves. It was a huge success and we would have no hesitation in booking Khalisha again in the future. Can you provide musicians to accompany you?